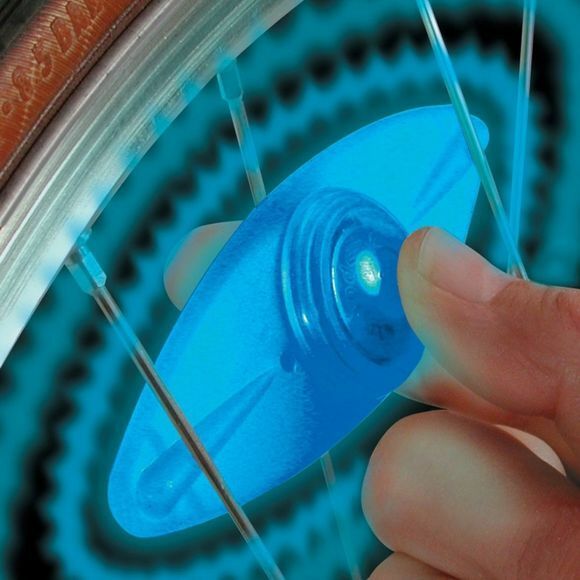 Clip this LED to your bike wheel and you'll easily increase your night-time visibility and safety. 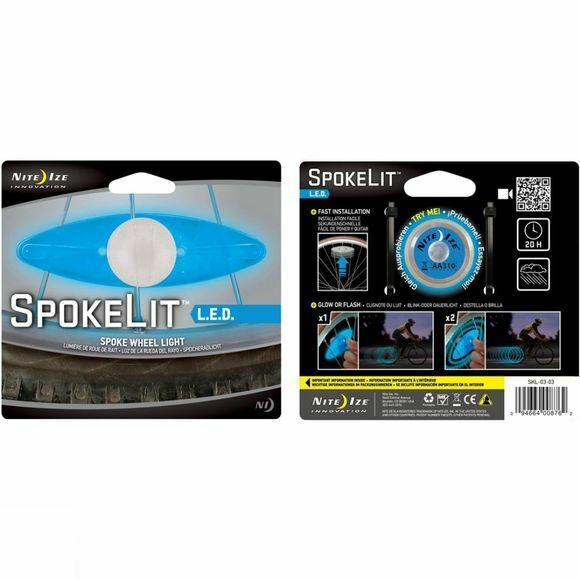 Simply slide the SpokeLit up your spokes towards the rim of your wheel and it will stay tightly in place, then select either continuous or flashing mode. As your wheel spins, the SpokeLit creates the effect of a moving circle of light, to make you more visible on the roads.